Ways to Make Your Brand Memorable on Social Media - A Digital Marketing Agency | IIAS - International Internet Advertising Services Inc.
Nowadays, when you want to promote your website, you cannot ignore the power of social media. Millions of people worldwide are into social media, such as Facebook, Twitter, and Google+. You can therefore tap the potential customers in social media to be aware of your products and services and might be interested in purchasing them. Here are some tips how you can make your brand be more memorable on social media. When done right, social media can help build credibility and trust between your company and followers/friends. Offer something that is valuable and memorable to your friends or followers. For example, why not hold a contest regularly to your Facebook and Twitter followers? In that way, you are building a long-term relationship with your potential market. At the same time, you are helping create awareness for your products and services. You might also want to evaluate how you are using the social media tools to promote your product. For example, you may not want your brand’s Twitter and Facebook to have the same content all the time. Sure, it may be easier (especially with the use of social media tools that enable you to simultaneously post content in various social media platforms at the same time), but what good will it bring? A Twitter follower, for example, will not follow you on Facebook if he or she sees that your Twitter account provides the same content as your Facebook page. Why not provide a specific role for your social media account. Why not make your Twitter account as your conversation spot (where you can answer questions or comment on any issue) and Facebook as your billboard spot (your brand is offering discounts this week)? Do not wait for someone to tweet your account or post on your Facebook wall. As much as possible, provide content that is informational to your readers. Interact with your followers or friends about the product or service you are offering them—whether you are showing gratitude for using a product or service or addressing a concern. Engage your followers and friends. Try to strike a conversation with them. For example, if your website sells the latest mobile phones, why not ask your Twitter and Facebook followers what they are looking for a mobile phone? In that way, you are engaging them on their thoughts about mobile phones and at the same time, promoting the mobile phones that you sell. In social media, photos and videos are among the forms of content that are easily shared in various networks. They are easy to understand, user-friendly, and does not need readers to understand mountains of text. As much as possible, include photos, infographics, and video on your website. 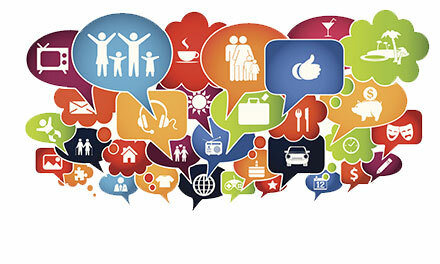 Provide social media sharing buttons so that people can easily and immediately share them on their own networks. Good photos and videos can be viral; it is a great way for you to gain awareness and recognition online.